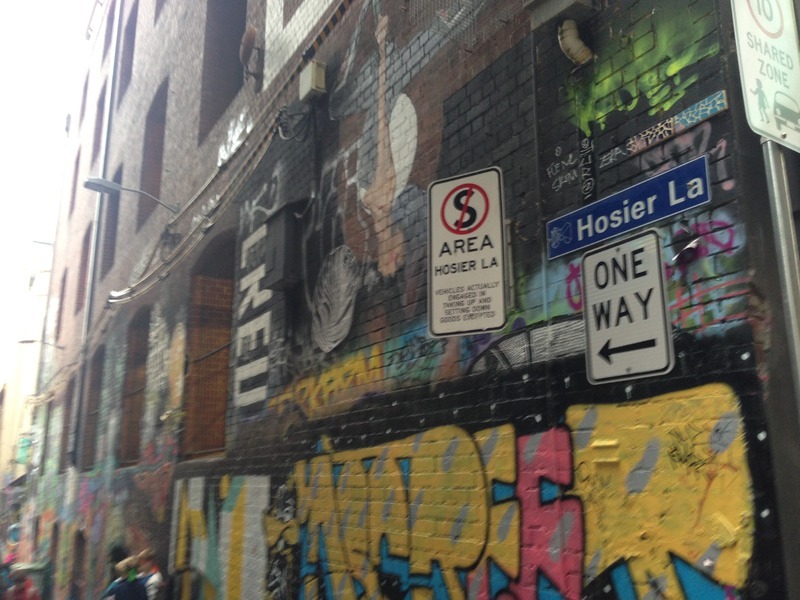 The penultimate location of the Melbourne Street Art Star Tour is Hosier Lane. Hosier Lane is one of the most if not the most famous street for street art in the city of Melbourne. Artist all over the world travel to Melbourne just to be able to create their piece of artwork here. 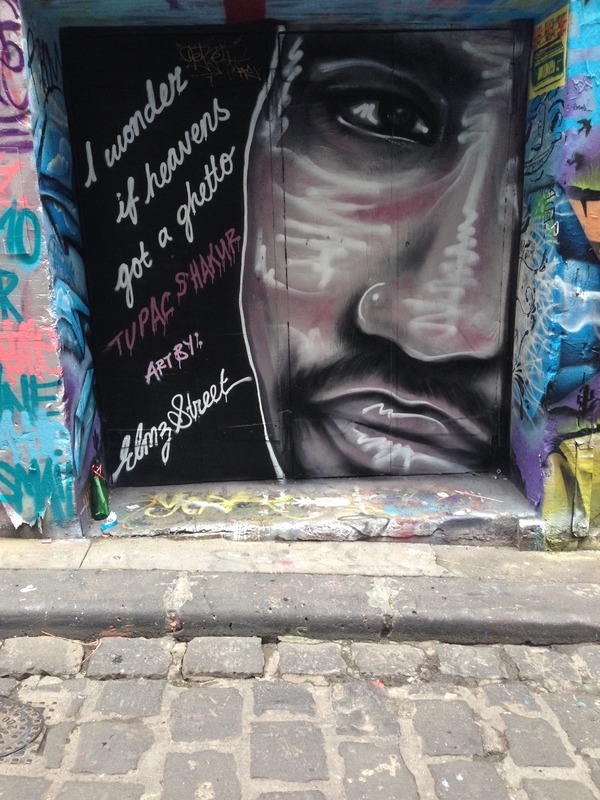 Hosier Lane is one of the most interesting places in Melbourne’s street art world because the art is always changing. Like Union lane you have many different types of art, from sculptures to murals and everything in between. Hosier Lane is always filled with people walking by and taking pictures. Sometimes you can even see the art being done. Like in the other locations, murals are also big in Hosier Lane. Out of the many murals that are in the street one of them is an image of “2pac Shakur”. This is a great piece because it embodies many different thoughts due to him being a controversial figure. The quote next to the mural also helps bring thoughts to peoples mind as well. Being next to the river, Hosier Lane’s access makes it easy for people to keep coming in and out and seeing all the knew pieces of art that come through those streets. “Stop 4,” Street Art deTours, accessed April 24, 2019, http://streetartdetours.com/document/1163.